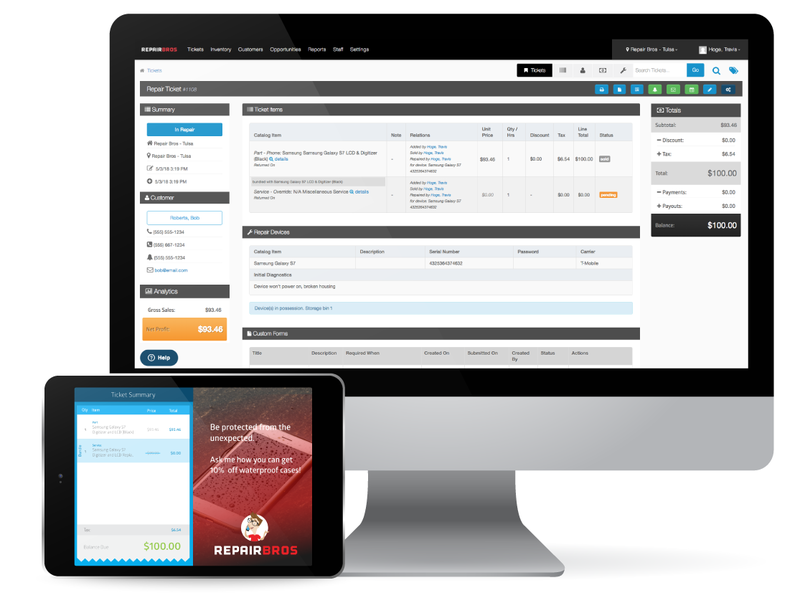 RepairQ brings buy, sell, trade, and repair together into the best POS software built intentionally for repair shops. In a store that offers retail, repairs, services, or even trades; selling is no longer ordinary. That’s why RepairQ’s POS is designed to be efficient, yet flexible enough to meet unique business models. 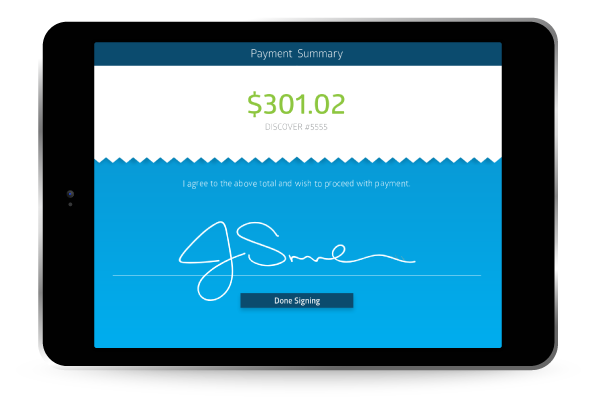 When paired with a customer-facing tablet experience, secure payments technology, and advanced business reporting, you will be ready to take your business to a new level. Purchasing customer-owned items for refurbishment and resale is a unique business model that is often awkward or impractical in other retail software. 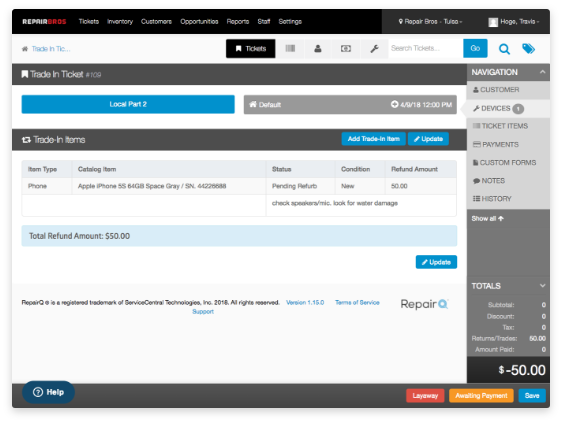 RepairQ empowers our customers with powerful tools to trade at the POS, capture waivers, track state-mandated hold times, refurbish purchased items, and measure the real cost of goods and profits when reselling! With Qpop, RepairQ’s point-of-purchase app, show sale items, balance due, and capture signatures.